Another great community activity is Workout Wednesday hosted by Andy Kriebel and Emma Whyte. According to Andy it’s “designed to test your knoweldge of Tableau and help you kick on in your development.” They’re alternating odd vs. even weeks. I’m happy to say that I was able to complete the task. What was the most interesting part? To get the dots on the single lines I ended up redoing a field that had a secondary table calculation and using some built in functions. Those functions were RUNNING_SUM() and TOTAL(). The dots continued to be tricky, but I resolved to using AND logic within my IF statement and leveraging LOOKUP(). I also did a micro upgrade. The instructions indicated that the red should highlight the “most current year.” When interacting with the viz on the original blog, I noticed that only 2015 was red and the title was static. So I added in logic to highlight the most recent year and added the dynamic change to the title as well. 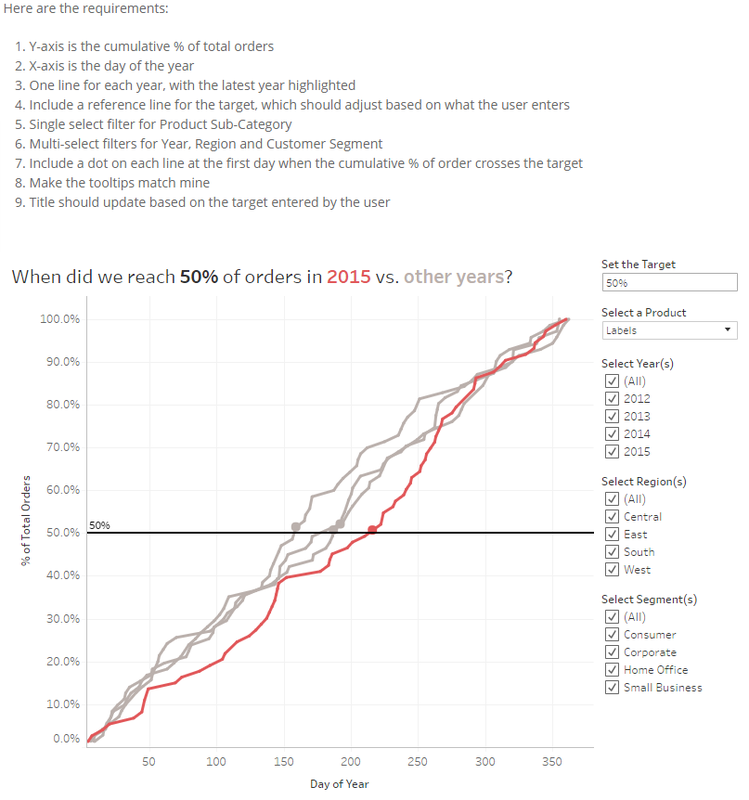 Full viz on my Tableau Public page.